Swiss-Belhotel International has signed its inaugural property in Switzerland. Hotel de Parc, which is the leading upscale hotel in the charming city of Baden, just 25 kilometres north-west of Zurich, will now be rebranded as Swiss-Belhotel Du Parc, Baden, following the signing of a management agreement with the hotel’s owner, Hotel du Parc Baden. “For more than 30 years, Swiss-Belhotel International has successfully blended Swiss professionalism with Asian warmth in destinations across the globe. “We are now delighted to introduce our truly unique brand of global hospitality to guests in Switzerland. “Swiss-Belhotel Du Parc, Baden, is an exceptional hotel that has already established itself as the leading destination for travellers in this captivating city,” said Gavin Faull, president of Swiss-Belhotel International. Nested close to Baden’s Limmat River, next to the Langmatt Museum, Kurtheater, Kurpark, Grand Casino and just a few hundred metres from the city’s train station, Swiss Belhotel Du Parc, Baden, is perfectly positioned for all visitors to this scenic Swiss city. Baden is a regular stop on the railway line connecting Zürich with Bern, the Swiss capital and points east. The hotel enjoys stunning views of the vineyards and hillside across the Limmat River from many of its rooms. Guests are offered a choice of 107 contemporary rooms and suites, all featuring sleek wooden floors, modern décor, working desks, refreshing bathrooms and modern amenities, including exceptional Wi-Fi. Single, double or twin bed options are available. 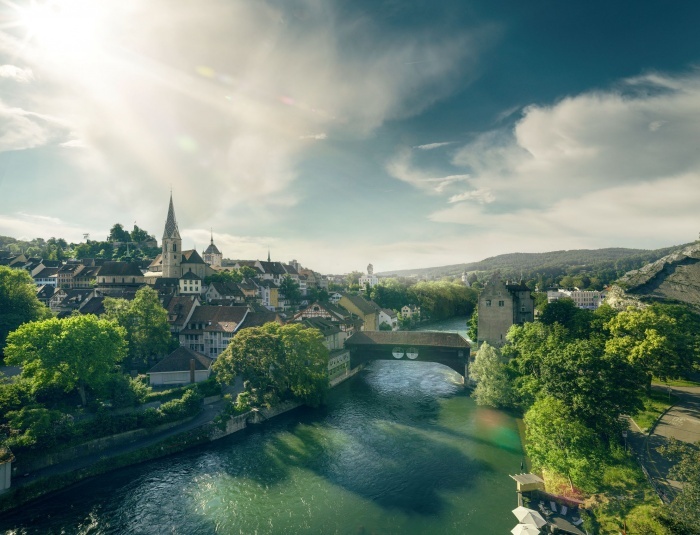 Named after the German word for “baths”, Baden is a charming city nestled in the Limmat Valley, in the Canton of Aargau, not far from the Swiss-German border and only 20 minutes from Zurich. Its mineral hot springs have been famous since Roman times and the city is now a Swiss Heritage Site with several impressive landmarks, including the ruins of Stein Castle which date from the 12th century.